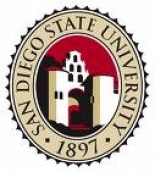 March, 13, 2013 (SDSU) – Giving new meaning to the term “beer bash,” A resident of Villa Alvarado Residence Hall at San Diego State University was struck on the head with an empty beer bottle last night. The incident occurred around 9:15 when the victim heard shouting outside his front door. He opened the door to see what was going on and was immediately struck with the bottle, causing a laceration on top of his head, according to campus police. The suspect then fled the scene in an unknown direction. The victim had no known affiliation with the suspect. He is described as a white male adult, in his 20’s, with short blond hair, and wearing a white T-shirt and blue jeans. If you have information, call the San Diego Police Department at 619-594-1991 and reference SDSU Police Crime Report Number 13-444.